Debbie Marriott Harrison is the 2012 recipient of the Invisible Disabilities Association Corporate Honors Award. Debbie has been chosen for her personal journey as a caregiver and champion of those living with invisible disabilities including her own children. In addition, Debbie is an example for others in her role as Senior Vice President of the Marriott Corporation, a company who is leading the way with a disability friendly atmosphere for both their guests and employees. 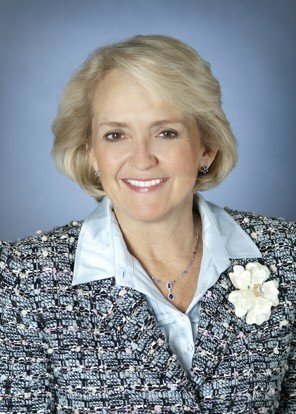 Deborah Marriott Harrison, an honors graduate of Brigham Young University, has held several positions within Marriott since 1975, including accounting positions at Marriott Headquarters and operations positions at Key Bridge and Dallas Marriott hotels. She has been actively involved in serving the community through participation on various committees and boards, including but not limited to the Mayo Clinic Leadership Council for the District of Columbia and the boards of the Bullis School, the D.C. College Access Program, and the J. Willard and Alice S. Marriott Foundation. Her extensive knowledge of the Company, its history and its mission, and her strong ties with the community bring valuable experience and insight to Marriott’s Government Affairs initiatives. She has also served on the boards of several mental health organizations, including The National Institute of Mental Health Advisory Board, Depression and Related Affective Disorders Association, and the Center for The Advancement of Children’s Mental Health in association with Columbia University.